? I had a very precious moment with the Lord today in prayer as I have been praying for our journey to Israel. Because there is so much going on in and around us, I have to make a conscious effort to stop whatever I’m doing and get away to be with my Lord. Zion has been on my heart as I read the account of the city of God in Hebrews 12 and all of the heavenly beings that are there. I encounter them many times when I pray, but just reading this passage of scripture again reinforces what I see. When I go to Israel, I plan to visit Mt. Zion and something the Lord highlighted to me today is that Zion is the place of our heavenly court where many verdicts can be issued in our favor through relationship with our Lord and through the blood of Jesus. Also the Cenacle, the supposed place of the last supper and the upper room is on Mt. Zion which we also plan to put boots on the ground. I visit the place of the last supper often when I pray. Today, I was there again without knowing I would go. Every day is different for me and I never know where Yeshua will take me. As I was laying my heart before the Lord and taking communion in a sacred and precious moment today, I kept seeing myself as a living sacrifice. Laying down every weight as mentioned in Hebrews 12:1 and running my race with endurance. I saw myself being laid down as a living sacrifice to pick up the baton of the race, the calling and governmental mandate of the Lord that He has given me to the nation of Israel and the work He is doing with bringing America and Israel together. God is using our nation to bring Israel back to her God, thus satisfying His heart for this nation that He loves. As I was praying, I saw something even further. I not only saw Jesus in the upper room, I could see the disciples there interacting with them, but Jesus knew I was there. It’s as if in spirit, I was with Him. I thought about this and was kind of new to me but made sense because we were all in His heart that day. Because He is God, time is not a factor and we are or were, in His heart. He was thinking about me, about you, about each of us. When they broke bread together, I was there, you were there. I know we weren’t physically born yet, but we were in His heart before the foundations of the earth. His plan for our lives was already set in stone in His heart. He knew who would accept Him and who wouldn’t. He saw our choice for Him back then. In that perspective, it’s not so hard to understand that I was there and explains why I can see Him there when I pray. Does He take me back in time in the spirit? Perhaps. But there is no time with the Lord so when we enter eternity in prayer, and in heavenly places, we can see a thousand years ago as if we are seeing it now. The spirit of God transcends time. And because we are spirit beings first, made in the image and likeness of God, He takes our spirit where He is, His heart, which is eternal. This is what I finally saw and heard and witnessed. Jesus said He is waiting for us and He will break bread with us when we get there in Jerusalem. When we go in October, we will take communion where Jesus did for His last supper. Even if it’s not the exact location, the frequencies of God’s spirit where Jesus walked the earth is there. I will be able to feel that as I do here at home because there is no distance in the spirit and my spirit will recognize the footsteps of my Lord because I visit Him everyday in prayer and i know the sound of my Lord when He walks and when He is present. He said He will meet us there. I’m not sure if we can broadcast live in that location, but we will video it for sore and upload in that night when we get back to our hotel and you can engage and partake of communion with us as you watch the video. You will receive impartation as you observe with us and engage because there is no distance in the spirit and there is no time. 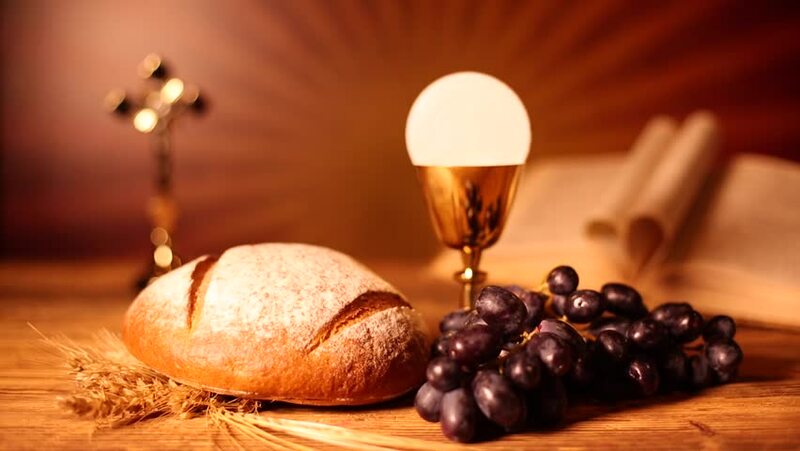 I felt the Lord wanted me to share that with you and relay the message to look forward to taking communion together with us and with Him there. He will meet you face to face. I just know it. I can’t wait! ?? MOBILE GIVING: Text any amount to (404) 220-7756 and follow the prompts. Be sure to designate your prayer decree with your donation in the comments of your transaction. We look forward to taking you with us to Israel. What a glorious experience this will be. This journey is purposed to pave the way to bring teams with us next year. We will never be the same!